Norwood High School Global Citizenship Program in Norwood MA provides students global awareness and competency in 21st century skills, integrating academic achievement, co-curricular activities, community service, and international travel. The demands and the opportunities of the 21st Century challenge our students to learn and to think in new ways. We are proud to be able to offer an exciting and enriching opportunity for students who are interested in increasing their global awareness and gaining 21st Century skills. Through earning a Global Citizenship Program (GCP) Certificate, or through participation in the Global Citizenship Club, students will develop the necessary skills to be responsible and successful as participants in, and contributors to, a globalized society. The certificate program combines an abroad experience, academic achievement, co-curricular activities, and community service to create well-rounded, open-minded citizens capable of making competent and compassionate decisions that will shape our new world. Participants increase their global awareness, heighten their appreciation of diversity, and enlarge their capacity to work and contribute in an increasingly inter-connected world. ● Think globally. Students develop an understanding of the interdependence of the global community through academic coursework, face-to-face interactions and service learning projects. ● Communicate effectively. Students communicate with people across the boundaries of geography, culture, and politics. ● Contribute responsibly. Students travel outside of the United States of America; volunteer their time; and demonstrate comprehension and flexibility when presented with multiple perspectives that challenge their own preconceptions about the world. Students become self-reflective about their role in an interdependent world. From 2004-2006, NHS noticed that students were expressing the need and the desire to explore something beyond what the school was allowing them to do during the confines of a typical school day. NHS experienced a surge in the number of students who were motivated to travel internationally and domestically in order to participate in service work. Students traveled with the Red Sox Lindos Suenos program to build orphanages and baseball fields in the Dominican Republic, to Honduras to build water filtration systems in remote villages, and to Appalachia to build homes. This work made our students grow in ways that they never could in the classroom. 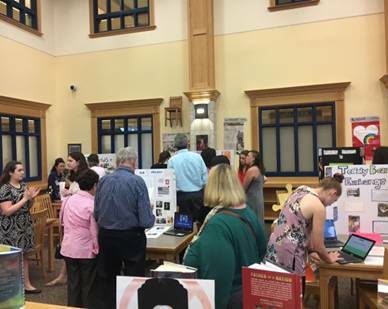 In order to honor and to celebrate the work that our students were doing, NHS began to explore the idea of offering high school credit for such experiences as well as modeling these experiences and making them accessible to the rest of our student body. We began to research existing programs in other high schools and immediately found Needham High School’s Global Competency Program and a similar program at Boston College High School. We were inspired to try to bring such a model to Norwood High. 2006-2008: Began developing a model that included a service component, foreign travel, academic coursework and a hands-on project as well. Obstacles to implementation included lack of funding to support students with a demonstrated financial need and the lack of alternatives for students whose families were not in favor of international travel. The last obstacle necessitated making the program more attractive to all students and not just the “best and brightest”. 2008-2010: Researched travel equivalent experiences that would still allow students to interact with other cultures and immerse themselves in languages but that would be more cost effective for families. The team researched hosting opportunities for our students, programs like e-pals and SKYPE, and any intensive educational programs that would encourage language immersion and/or a focus on international issues. Spring, 2010: Presented the initiative to Department Chairs who thought our model sounded great but felt that it would be too difficult to manage and to sustain. The initiative moved forward to administration but the program was eliminated from the budget and the program was tabled until the following school year. 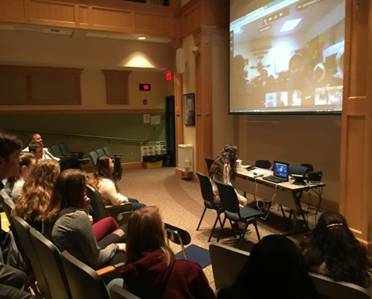 In the meantime, over the next two years, The Foreign Language Department resurrected international travel with trips to Italy, France and Spain and video-conferenced with a school from Montreal. The team started to look for other such opportunities through consulates and the French Cultural Center in order to keep trying to find new ways to “go global” unofficially. Spring, 2012: Presented the program again, this time this time including a two tiered program: a club and a certificate program. The club would allow the program to build slowly and would encourage participation from a wider audience. Fall, 2013: Advertised the program to the student body and the club began with 15 students. Students who had already completed service projects (international or domestic) and who had traveled abroad were encouraged to apply for the certificate program. This would be a one-time exception to honor students who were already challenging themselves to make positive changes in the world around them. The club began to meet monthly, mostly focusing on cultural events and movie nights with a social justice theme. The first initiative was to raise money for the Philippines after they were hit with a devastating typhoon. Several of our NHS students had families there and spoke very passionately to our student body and the club raised $1500 that was donated to help the relief effort. The coordinators also began to reach out to schools around NHS with similar programs to see what they were doing, and to see if ideas and resources could be shared. Hingham High School was a wonderful resource and they were a huge help in creating the Global Citizenship Manual that outlined and solidified the expectations and requirements for the club and the program certificate. June, 2014: Nine rising seniors were on track to graduate the following year with their Certificate of Global Citizenship and there were twenty-two solid club members ready to begin fresh the next year! 2014-2015: Six out of nine students completed their requirements for their certificate. The club sponsored the first group of 30 exchange students from all around Malaga, Spain, who arrived on September 4 and stayed through September 27, 2014. 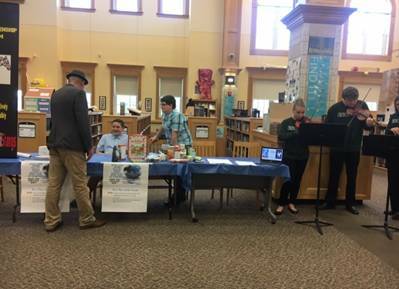 It sponsored a few movie nights, and students organized a traveling art exhibit through Teacher’s Discovery called Art Beyond our Borders. Art arrived on huge canvases that were hung in the hallway in an area of our school. Art came from around the world with information about the each country, its geography and its language. Students promoted the exhibition, which focused on art as the universal language to communicate and to encourage peace. 2015-2016: Increased the club membership to 30, and GCP graduated 17 seniors with the certificate of global citizenship. Several seniors completed research projects in order to fulfill their requirements researching the need for prosthetics in developing countries and comparing cancer care between the US and Guatemala. Groups organized a literacy campaign to provide books in the homes of our ELL students at the Willett Early Childhood Center and a backpack drive to collect backpacks and school supplies for our ELL students, who arrive to the country without the proper materials. The backpacks also included a welcome packet translated into French, Spanish and Portuguese. Another student completed a beautiful display of 1000 paper cranes that she made in order to promote peace and healing. The club participated in a holiday card exchange with 7 other countries and an exchange of artwork through One World Classroom. We received artwork from Canada, China, Micronesia, Africa, and American Samoa. We also digitally received artwork from Belarus in VoiceThread, and students have been exchanging thoughts and ideas about the artwork since. Sixteen students arrived from Malaga, Spain to spend 3 weeks with Norwood families from September 4, 2015-September 26, 2015. Fall, 2016: Increased membership to 50 students. Nine students are on track to graduate with their Certificate of Global Citizenship, and 3 of our students presented at MassCue in the Global Ed Student Showcase. Students facilitated a Teddy Bear exchange with two 2nd grade classrooms in Norwood and 2 equivalent classrooms in Pakistan. The 2nd graders exchanged letters and pictures and made comparisons about daily life and culture in Pakistan and the US. Twenty-three students arrived from France and stayed with Norwood families for 14 days, from October 13, 2016-October 27, 2016. Peace by Piece Project--Students decorated 24 x 24 puzzle pieces with theme of unity, tolerance and peace in mind. The pieces will be put together and hung outside the NHS Dining Hall in order to remind our student body every day that we are united as a NHS family. Service Trips--One senior traveled to Costa Rica with Global Leadership Adventures and performed service work for 2 weeks, providing basic needs to refugees from other areas of Latin America. Another senior traveled to Belize with Global Leadership Adventures and performed service work for 3 weeks, providing daily lessons in English and Math, and she helped to build schools. Teddy Bear Project--Students facilitated an exchange of teddy bears between 2 of Norwood’s 2nd grade classes and 2 equivalent classes in Pakistan. Students exchanged pictures, letters and experiences about their days with teddy bears. NHS students visited the 2 Norwood 2nd grades and taught lessons on the history and culture of Pakistan. Research-based projects include: Access to Education, Cancer Comparisons between the US and Guatemala and Prosthetics in Developing Countries. These projects were based on topics of interest to the students involved and, for varying reasons, were difficult to implement from a “service project” perspective. However, each one of these students participated in multiple service opportunities. Program Certificate: In order to seek approval to begin the Program Certificate we had to be creative about offering alternatives to travel for students who may not be able to go abroad. To satisfy that requirement, we decided that activities where students participate in intercultural exchange would be accepted. We began to create opportunities for students to host students from other countries as well as to participate in online “virtual exchanges” through Google Hangout, Skype, One World Classroom and the Global Nomads Program. Middle School Programming: In October 2016, we branched out to our middle school in order to engage students earlier in their academic years and get them excited to engage in Global Citizenship at a younger age. Students have forged a relationship with Grotius College in Delft, the Netherlands, and they have been blogging back and forth through SeeSaw, a private, online environment that is managed by the teachers in both schools. Students share photos, experiences and have exchanged cultural packages. Professional Development: Additionally, we have facilitated several professional development sessions for interested schools to begin to build their own Global Citizenship Programs. We presented at the Eastern Massachusetts Foreign Language Association, Youth Futures International: Beyond Borders, and at the Foreign Language Educators of New Jersey conference. at the YFI Council on Human Rights. to the Norwood community. 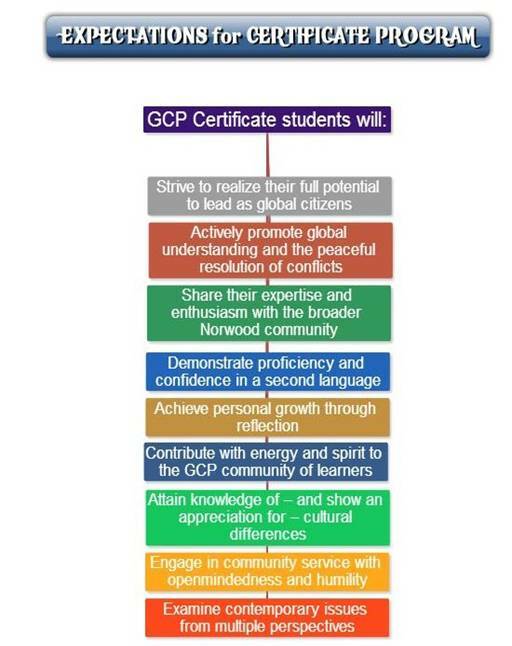 Norwood’s Global Citizenship Program is open to all students at Norwood High School. GCP members have involved elementary and middle school students in Norwood in their projects in an effort to generate excitement for the mission of the program throughout all grade levels. Currently, there are 2 related branches of the GCP: the GCP Club and the GCP Certificate Program. Please see the graphic below that describes the function of each branch. The GCP Club is open to all students at Norwood High School interested in global competence and awareness. The GCP Club offers social, educational, and service activities that promote global competence and furthers the mission of the entire GCP. GCP Club meets once per month and offers several globally-themed activities each term. All Norwood High students are welcome to help plan and carry out GCP club activities and events. Students in the club may choose to apply to the certificate program at any time. The GCP Certificate Program is an application-based program with specific requirements. Students in the Certificate Program are required to participate in the GCP Club. The GCP Club and Certificate Program are intricately connected in terms of social activities, leadership, vision, and purpose; however, the Certificate Program demands a higher level of commitment and involvement from accepted students in addition to other academic and extracurricular activities. The impact of this program has been multifaceted. It has continued to grow and to evolve over the last several years. 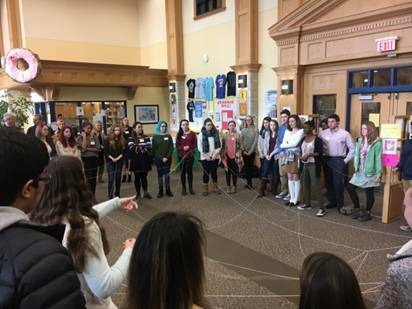 Norwood High School students who have directly participated in GCP have reflected that they have grown as people while also expanding their worldview. At the local and global levels, the service projects that these students have completed have bettered the lives of other students at NHS, in the larger Norwood community, and also around the globe. Three students received partial scholarships from St. Mark’s School in Southboro to attend the Global Citizenship Institute in June 2016. Norwood’s Women’s Community Committee also provided scholarships to those students so that they could attend at no cost. One student received a full scholarship to attend the Future Doctor’s Conference in Lowell, Ma in June, 2016. Three students were selected to present at MassCue’s Global Ed Showcase. Meet with administrators and members of the faculty who would be willing to assist with this initiative in your school. Administrative and staff buy-in is a key component to student success. Visit schools with existing programs to get sustainable ideas, tips and resources. Review the program requirements, and tailor them to fit the needs of your own school. Look for students currently enrolled in your school, who are completing service work, connecting with students around the world through travel or virtual experiences and get them involved on the ground level. Host a PR night where you promote your program to parents and the community at large. Costs depend on the school district. Norwood High School’s program is unfunded and relies on donations and grants. The NHS PTO, The Women’s Community Committee, and Dedham Savings Bank have been generous supporters. Most schools provide stipends for the coordinators and advisors who work with the students. Most schools also provide a budget for events, speakers and special programs. Share the program with other high schools for potential replication or adaptation. Norwood has taken the work inspired by Needham High School and Hingham High School and has already paid it forward. Norwood High has worked closely with Andover High School and with Dedham High School to start programs in those communities. Jorge Allen, World Language Program Head in Andover and Cynthia Derrane, Foreign Language Department Chair in Norwood, came together in the fall of 2015 to form a consortium for global citizenship programs. He invited Derrane and Jennifer Orlinski, Social Studies Department Chair in Norwood, to present their program at the Fall 2016 meeting of the Eastern Massachusetts Foreign Language Administrators. After the presentation, Derrane and Orlinski were approached by several schools, who were looking for assistance in replicating this program in their own school districts. To that end, in December, Derrane and Orlinski organized an evening for schools to come together to start global citizenship programs and/or to share resources for existing GCPs. Derrane and Orlinski have been invited to Foxboro High School and Concord-Carlisle High School to work with those schools to start or to strengthen similar programs in those schools. Westwood High School has also reached out. Norwood GCP partnered with Youth Futures International to sponsor a Design Thinking Challenge on Human Rights at Norwood High School on February 2, 2017. Schools from all around Massachusetts were invited to send 2 students to participate in the challenge. It is our sincere hope that this work will continue to grow and to flourish not only in Norwood but across Massachusetts.